The first thing that most people will note about a business consultant is that they maintain a positive attitude. They never look at a business as being a failure, but look at it in the context as to how they can solve the problems, that are holding the company back. 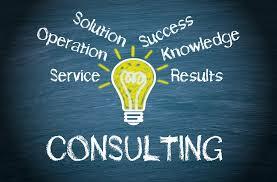 What Will a Business Consultant Do? A business consultant is hired by a company to assist them with either, issues that the company is having, or to take a company to the next level. This professional will give their advice and suggestions based on their expertise. However, the business consultant does not have the authority to implement any of the ideas that they may make. Depending on what the business consultant is going to specialise in, they will have different training and experience. Being as there are many different industries, it makes sense that there would be different types of consultants. The consultant is not restricted to one specific industry. However, some will specialise in particular areas or industries. Quite often, a business will have one sector of their company that they feel that they need to consult a professional about. One of these common areas is the operations of the business. The main goal of using a consultant for the operations sector of the business is to make sure that the quality and efficiency of this department is at its best. The approach a business consultant makes, when it comes to consulting for operations, will depend on the business itself, and what processes are currently in place. Their level of expertise lies in the quality control systems. The management team is critically important to the function of the business on all levels. Management must possess many different skills and expertise. A business consultant will review the management system that is currently in place for the business, and identify the strengths and weaknesses. Based on this, they will then develop a management plan, that will assist the management team in their duties. Most of the focus will be on helping the management team be able to develop the proper strategies. One of the most important groups within a company is the marketing department. This is often an area that can become weak quickly, as it gets overlooked, because of the other business requirements. A business consultant can specialise in the marketing segment of the business, and build this department up to the level where it should be. The Human Resources department of any business is critically important to the success of the company. The employees are the backbone of the business, and the HR department has the task of making sure that the management level works well, with the front line employees, and in fact, looks after all departments within the business. When an HR department is weak, then relying on a business consultant that specialises in HR, can be most beneficial for the company. IT is a department that can be relatively new for many companies, especially those that have been established for a very long time. It is important that businesses are able to keep up with the competition. Often where they fall short is, with the implementation of new technology that is available to them today. A business consultant can bring the company up to speed.